When U.S. Border Patrol Agent Christian Rivera discovers the body of an undocumented alien in the middle of the vast Sonoran Desert with three enigmatic words carved into her flesh, presumably by her own hand, it triggers a frantic search for the remainder of her party, a group of twenty-five men and women who have inexplicably vanished into the desert. 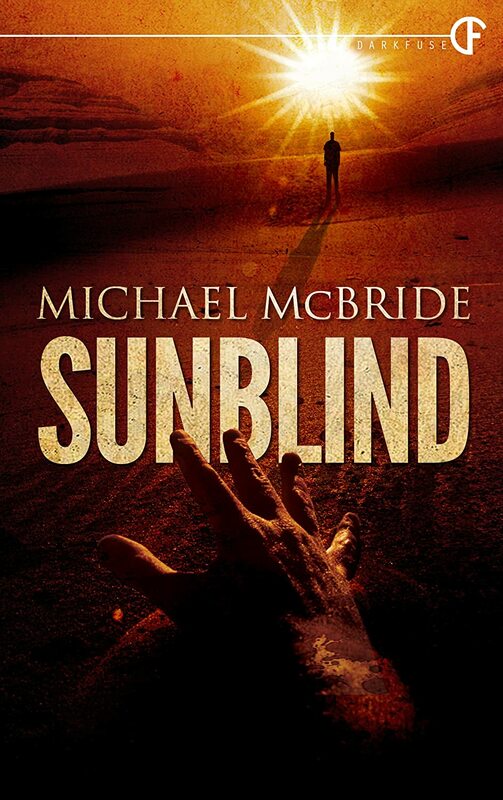 From Michael McBride, bestselling author of Burial Ground and Snowblind, comes Sunblind, a thrilling new novel of terror and action that will take you on an unforgettable journey from the desperate streets of Mexico, through the deadliest corridor in the world, to a place where mankind was never meant to tread. This entry was posted on July 7, 2014 by evilanche. It was filed under Uncategorized . Do you think there will be s/l h/c’s of this one available for purchase? I have no idea. I hope so. I’d kind of like to have a few more for my personal stash, too. Probably a safe idea. If I hear of any extra copies, I’ll let you know. I’m happy you’ll be able to read it. Maybe someday I’ll be able to see these released in cheaper editions. I hope you love it, Bruce!